In memory of Claude Elwood Shannon (1) this kit reconstruct the famous toy: “The Ultimate Machine”. The well-known visionary of the digital age used to have a little, wooden box on his desk featuring an ON/ OFF switch. 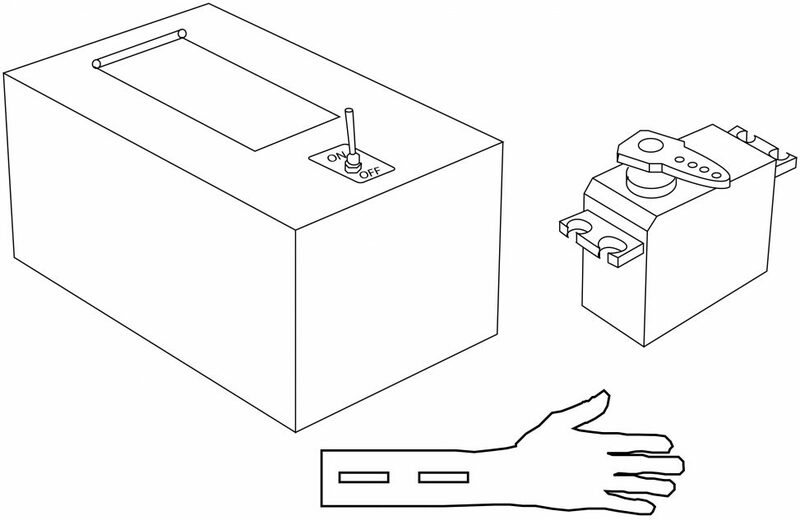 Switching to ON made the box come to life: it communicated, made noises and vibrated until the lid opened and a mechanical hand appeared, turning the switch back into the OFF position. The kit reconstructs the profound toy inspired by Shannon’s information theory (2). The “Ultimate Machine Box” Kit leaves space for individual designs as regards casing, mechanics and- by instruction- programming of the electronics. The kit delivers an easy and very vivid introduction to the world of digital data communication. On offer is an introduction to programming requiring no previous knowledge. The electronic comprises of LEDs and a speaker that may also be used as a sensor. The programming is executed via the open source platform “Arduino”. For the individual design of his or her box the kit builders should have access to handicraft materials, tools, and colours. (1) Claude Elwood Shannon (* 30. April 1916 in Petoskey, Michigan; † 24. February 2001 in Medford, Massachusetts) was an American Mathematician. He is considered to be the founder of information theory.